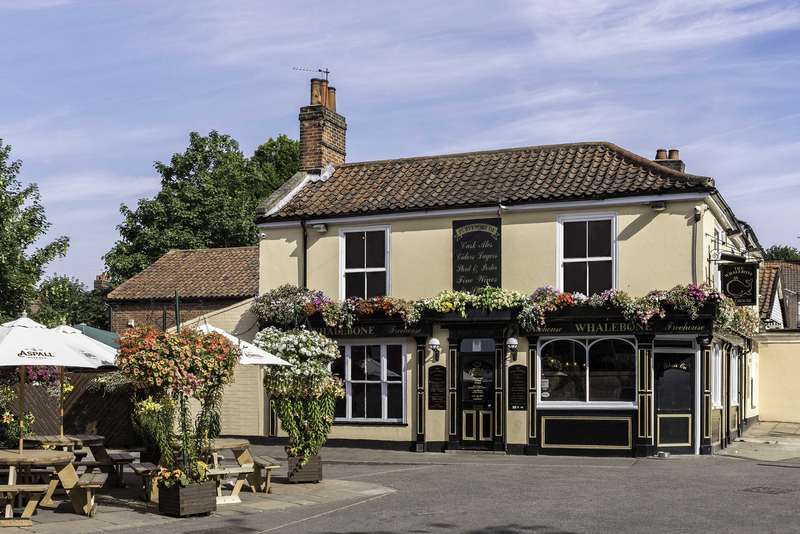 The Whalebone Freehouse is situated just a couple of miles north of Norwich City centre and nestles amongst the many Georgian chimney pots in NR3, affectionately known as the Platinum Triangle. Described by many when visiting for the first time as a tardis, the space and varied facilities behind the small front entrance are deceiving and our claim to be where Traditional Pub meets Modern Wine Bar have been endorsed by customers comparing the Whalebone to that of “ A hidden gem “. 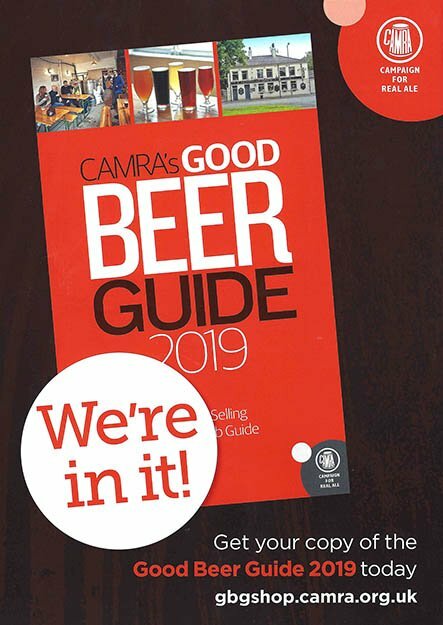 In addition to an exciting selection of Lagers and Ciders, eight Cask Ales are always on tap from Regional and Local Breweries and with Cask Marque accreditation quality is assured. To complement this some great Wines supplied by Adnams of Southwold are available from our cellar. Facilities at the Whalebone include a front locals bar, which features an original back fitting and counter, fitted by Bullard's, a notable brewery from Norwich's historic brewing tradition. Also a mid lounge and servery which leads into a Conservatory Bar, plus a converted malt house, which comfortably seats up to forty people. The fully air-conditioned Malthouse Room is available for private hire and ideal for Business Meetings, Small Parties, Club Events, Wakes etc. and if required we can offer an excellent choice of buffets to suit all occasions. We also offer wheelchair access and disabled toilet facilities. 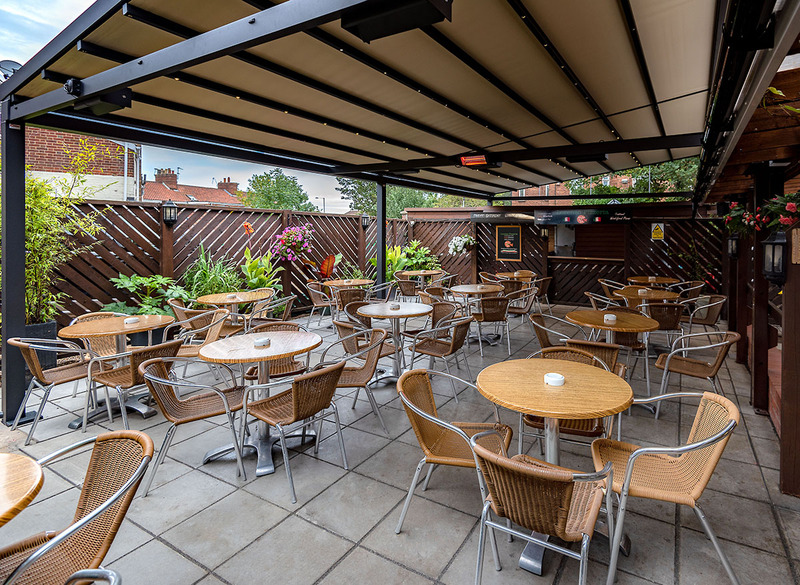 Additionally a Mediterranean style terrace area which, in a first for the Norwich Pub Scene, is covered by an electrically retractable roof with ambient lighting and heaters so that customers, including smokers, can sit outside and enjoy these fabulous surroundings at most times throughout the year. On Friday and Saturday evenings we have Lorenzo Pizzeria, in association with Sicily Market, offering a selection of authentic, wood-fired pizzas on the Whalebone Terrace, bringing an authentic taste of Italian Street Food to NR3. Bar Snacks which include locally sourced Pork Pies, Scotch Eggs and Sausage Rolls are available daily, plus freshly made coffees and hot chocolate. For sports enthusiasts most events are selectively shown on big screens and furthermore the Whalebone is the spiritual home for The Whalebone Itinerant Golf Society (TWIGS) and has also many years close association with Old Catton Cricket Club. Fancy a pint on the way home from work? why not pop in to meet your friends and chill out? Great beer and ales and absolutely amazing pizza. Head up on s Friday or Saturday for a proper authentic Italian pizza. If you want a good local with great friendly people the whalebone is where you head. Always a place to feel welcome and Steve and the rest of the staff make this place a home from home. Can't recommend enough. Food and drink great. Head down on a weekend for either a lively weekend or finding a quiet nook it's all here. We’ve been going to the Whalebone for a while now and are always very pleased. Friendly bar staff and lovely atmosphere. Visited this evening to try the pizza and it was incredible! Best pizza we’ve had outside of Italy and actually even rivalled some of the pizza we had this summer in Italy! Reasonable, fresh and damn tasty! Even more of a reason to head to this lovely pub. The Whalebone was a very welcoming public house. The ale was excellent, best that I drank whilst in Norwich. Midweek there wasn't much to be had food wise but they did serve a stunning Scotch Egg, as big as a softball and a wonderful sausage roll. We both had one of each. I know that my son will end up being a regular there and I will visit when in Norwich. A lovely example of a proper street comer local. Great ales, welcoming staff, cosy and interesting building. Nice one! Will be back! Lots of beer , good selection of real ale. After your first pint the staff serve you at your table, great service with a smile , brilliant as you can drink even more beer. Very clean gents loo, overall a top class pub. Well worth a visit. ...All in all one of my favourite Places to meet my partner as we both HAVE to go passed it on the way home. Two or theee pints in the sun or by the fire over winter. Lovely old job. I went to this pub for the first time over the Easter weekend. We had the steak sandwich with salad. The steak was so tender and delicious and really reasonable. This is a really lovely friendly pub with great food. Always a great night at The Whalebone! The Whalebone is a proper pub, rooted in the community and welcoming to all. Well managed, with great service and a clever balance of traditional pub and modern bar, catering to beer drinkers and wine drinkers alike. Excellent covered and heated garden with table service. Best pub in the area.